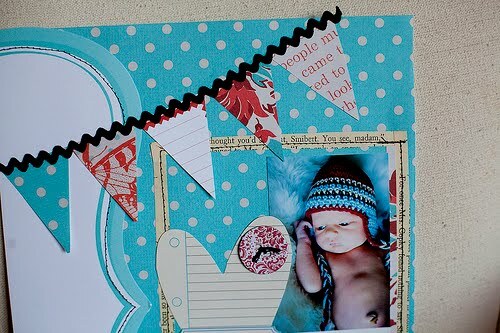 Today Becky Novacek brings us just about the sweetest baby boy layout I've ever seen. 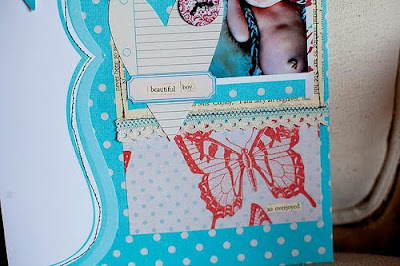 She writes, "The Dime Store kit has some of my all time favorite papers and embellishments! I couldn't wait to use it! I think it works well with this newborn photo of Eli. For the banner, I simply cut the flags freehand, using the pattern papers and one of the journaling cards. I kept things simple and was able to put this layout together in an hour, which is fast for me!" 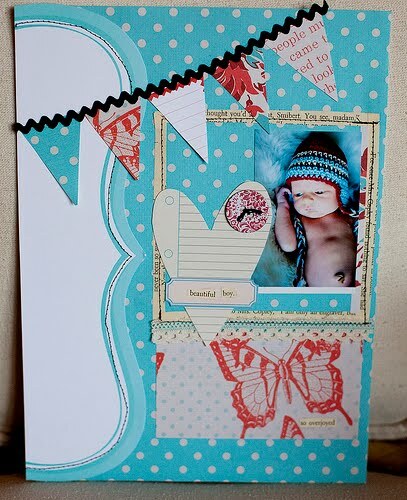 Thanks for the Dime Store inspiration Becky!